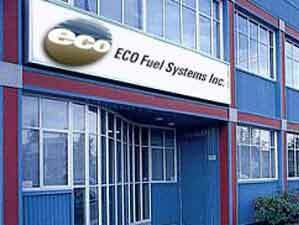 ECO Fuel Systems, Inc. is a privately-owned company that was established in 1983 to supply alternative-fuel conversion equipment for vehicles. ECO has since matured into a company whose innovative technology has revolutionized the alternative-fuel conversion industry by consistently delivering products and solutions that satisfy not just today’s, but tomorrow’s OEM requirements. ECO has positioned itself as an industry leader whose expertise is valued world wide and whose vision and accomplishments have contributed to higher standards in the alternative-fuel industry. ECO engineers and supplies EPA certified solutions to gas utilities, government fleets, corporations, private fleets, and to a large network of ECO authorized service centers.